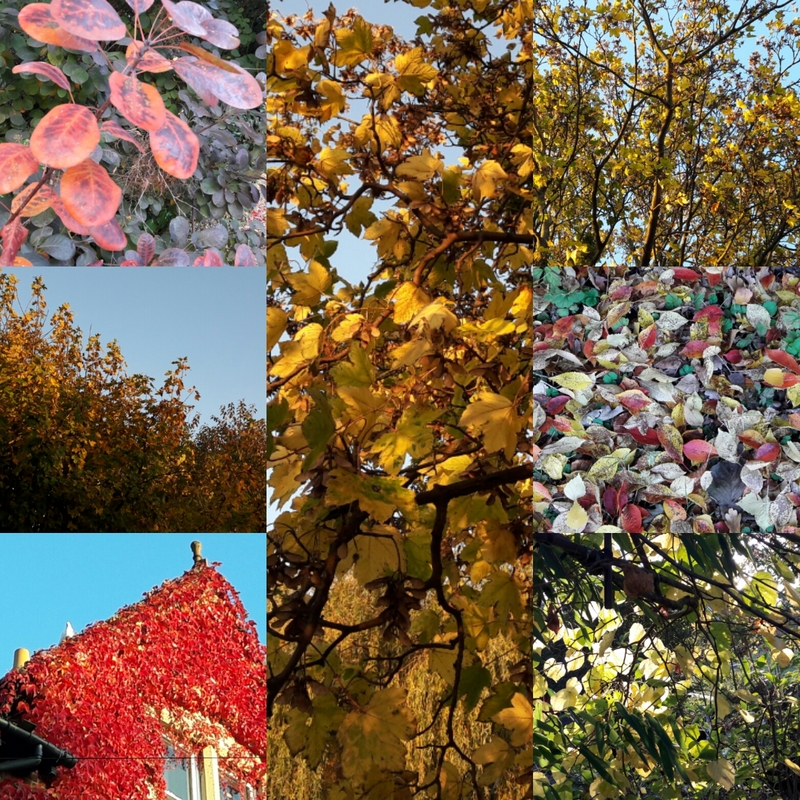 Two days ago I wrote about the beauties of autumn, and since then all I've seen are fiery acers, brazen creepers, gold, bronze, russet, gold and more gold, and stunning variegations just lying at my feet or peeping out from almost every hedge. A simple walk along the canal as the sun began its slow, burning descent and the sky blazed brilliant blue yielded striking colour upon striking colour all within a short distance. 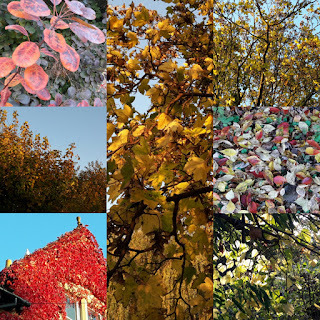 No rare trees or exceptional plants - just an everyday beauty, visible in towns and cities in every corner of this country, but no less beautiful for its ordinariness. And then I returned home and picked some more grapes, finding more and more bunches as I foraged within and beneath the vine. A neighbour came by; a young woman who had walked past the vine every day, and noticed a tiny cluster of what she assumed were purple berries. She continued on her way with several bunches in her bag, awed and amazed by her first encounter with freshly picked grapes which were not packaged and sitting in a supermarket.